I find it totally awesome that big brands like Staples are on board with offering green product options. Now Staples has Sustainable Earth, a line of organic and green products available online and in-store. They have a variety of Sustainable Earth products like: All-Purpose Cleaner, Printer Toner, an Eco-friendly Notebook and even a Sustainable Earth Calculator for $5! 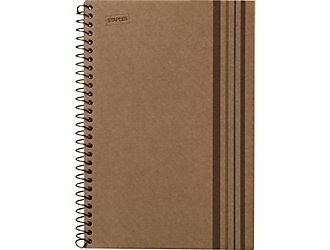 Staples.com offers free delivery on all orders over $50. It’s great that the big chains are getting on the bandwagon for sustainable products and setting a good example for green behavior. As consumers get more accustomed to environmentally friendly options, the demand will increase. Hopefully this will cause the supply to also increase, and we will no longer see just one little shelf in a great big store that’s eco-friendly; we will begin to see eco-friendly as the rule and not the small option anymore.